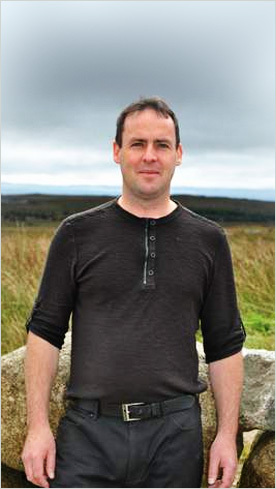 International Buteyko practitioner and bestselling author, Patrick McKeown is a graduate of Trinity College Dublin. In 2002, Patrick McKeown was accredited as a Buteyko breathing practitioner by the late Professor Konstantin Buteyko. 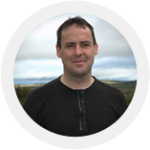 Having suffered from asthma, rhinitis and sleep-disordered breathing for over 20 years, Patrick is able to offer both theoretical knowledge and his own experiences to help clients to overcome similar challenges. To date, Patrick has written seven books and produced four Buteyko DVD sets and two online courses on the Buteyko Method, including three Amazon.com and Amazon.co.uk bestsellers: Close Your Mouth, Asthma-Free Naturally, and Anxiety Free: Stop Worrying and Quieten your Mind. The Buteyko self-help manual Close Your Mouth has been translated into ten different languages including French, German, Italian, Spanish, Norwegian and Russian. His latest book is titled “The Oxygen Advantage” and improves sports performance by addressing dysfunctional breathing patterns and simulating high altitude training. To date Patrick has worked with thousands of children and adults with varying severities and conditions including asthma, COPD, sarcoidosis, bronchitis, rhinitis, anxiety and snoring. Clients have travelled to attend his clinics from the UK, Austria, Spain, the USA, Holland, Denmark and all parts of Ireland. Patrick is Director of Education and Training at Buteyko Clinic International and has trained practitioners in over 41 countries worldwide. The Buteyko Clinic International DVD sets allow you to view and apply the complete instruction of the Buteyko Method (for your particular condition) from the comfort of your own home. Lifestyle factors including diet, sleeping and physical exercise are also addressed. DVD sets are accompanied by detailed audio recordings (CDs) and written manuals (books). If you are unsure of any aspect, you may contact Patrick directly.